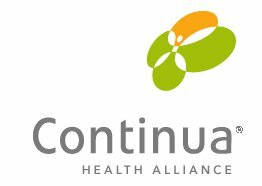 Continua Health Alliance, a non-profit, open industry organization of healthcare and technology companies and a VTM Group client since 2006, was scheduled to host the Fall Summit and Plugfest in November 2011 in Tokyo, Japan. However, on March 11, 2011 the Tohoku earthquake and subsequent tsunami caused widespread damage throughout the entire region. As a result, Continua wanted to reschedule this event without experiencing a significant financial loss but still showing sensitivity to the residents of Japan, including local Continua member companies, dealing with the aftermath. VTM Events always includes comprehensive force majeure clauses in vendor contracts to protect clients from extraordinary events including unexpected Acts of God such as the earthquake and tsunami in Japan. The Events team also has extensive international relations experience and understands the fragile, personal situation created by this type of natural disaster when working with affected businesses and individuals. VTM Events was cognizant of the delicate situation and worked with their contacts in Japan in a professional, respectful manner. The team quickly worked with Continua Administration, also managed by VTM, to move the upcoming event to Singapore. The 2011 Fall Summit and Plugfest was completely rescheduled and contracted for the original date in a matter of five weeks with no financial loss to Continua. The strong contractual agreement VTM Events arranged with this vendor protected Continua from any financial loss and provided the flexibility to move the event to another country within the Asia-Pacific region and still host it on the original date.